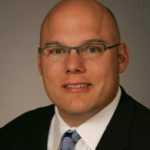 Brian T. Pallasch, CAE, is currently Managing Director of Government Relations and Infrastructure Initiatives at the American Society of Civil Engineers (ASCE), Washington, DC. He has been responsible for managing the ASCE’s government relations department including federal and state legislative affairs, regulatory affairs, grassroots, and policy development, since joining the staff in 1999. Since 2008, Mr. Pallasch has been responsible for managing ASCE’s strategic initiatives regarding infrastructure including development of the Report for America’s Infrastructure. Additionally, Mr. Pallasch serves at the Co-Chair of the Water Resources Coalition. Prior to joining the staff of ASCE, Mr. Pallasch served as the Director of Government Relations for the American Subcontractors Association for three years where he was responsible for all Federal and state relations. He served as President of the American League of Lobbyists in 2007-2008, after serving on the Board of Directors from 2004-2006. In 2001-2002, Mr. Pallasch served as the Chair of the Government Relations Section Council of the American Society of Association Executives. He served as Chairman of the Procurement Committee of the Small Business Legislative Council from 1997-99. Prior to joining ASA, Mr. Pallasch served as the Director of Government Relations for the American Society of Association Executives for five years. Previously, Mr. Pallasch was the Project Coordinator of the Citizenship Education and Peace Project at the Council for the Advancement of Citizenship (CAC). Founded by Senator Jennings Randolph (D-WV), CAC’s goal is to promote the importance of civic education at all levels of the educational system. Mr. Pallasch holds a Master of Arts degree in International Affairs from the American University, and a Bachelor of Arts degree in Journalism and International Affairs from the University of Southern California. In 2009, he was named one of the top association lobbyists by CEO Update.